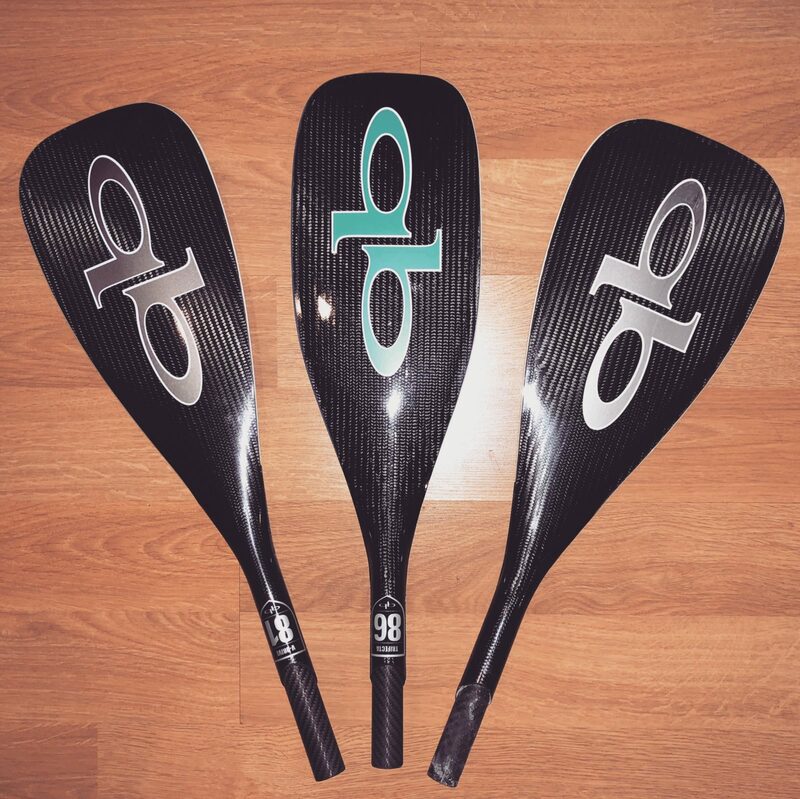 Are you a QuickBlade fan or looking for new paddle? I have been using QuickBlade V-Drive 91 for littler over 2years now and always looking to improve my engine (cardio) and gear choices. Sometime last year during the early summer season I been hearing downsizing the blade specifically on V-Drive. I don’t recall the the entire discussion and who it was but I do have one friend from NY has been downsized from V91 to V81. Mind you that I’m not affiliated with QuickBlade as an Ambassador/Team nor been endorsed. Let’s start with body type so that you understand and have some baseline before you take a plunge on upgrading or downsizing. Below you will find two specimen and both have experienced in V-Drive 91 and V-Drive 81. Let’s begin our Part 1 series of testing. When you compare the two chart, top is V91 and bottom is V81 you will find interesting results from 3 important factor: HR, Stroke Rates and Speed. I was not surprise to see my HR increase rapidly in V91 chart. Most of my other test I did last year for the Probox Fin system with Larry Allison’s fin has similar results (see figure b). I have only used V81 twice in a row. Day before was easy L2 paddling and interval training before this testing. From the physical exertion (PE) point of view I can feel that V81 has less stress to my body while I do feel more speed increase in sustainable speed. HR increase relation to paddle stroke is less rapid then V91. Comparing between PE and Data collected from speedcoach is great way to understand the results you were feeling during the test. From a single test result it is still conclusive to say downsizing is a winner but so far it looks really good. From technical specification view V-Drive 91 is for someone weights in 145 to 185 and V-Drive 81 is 105 to 145. In reality my body is telling me something different is it because my upper body is not strong enough? 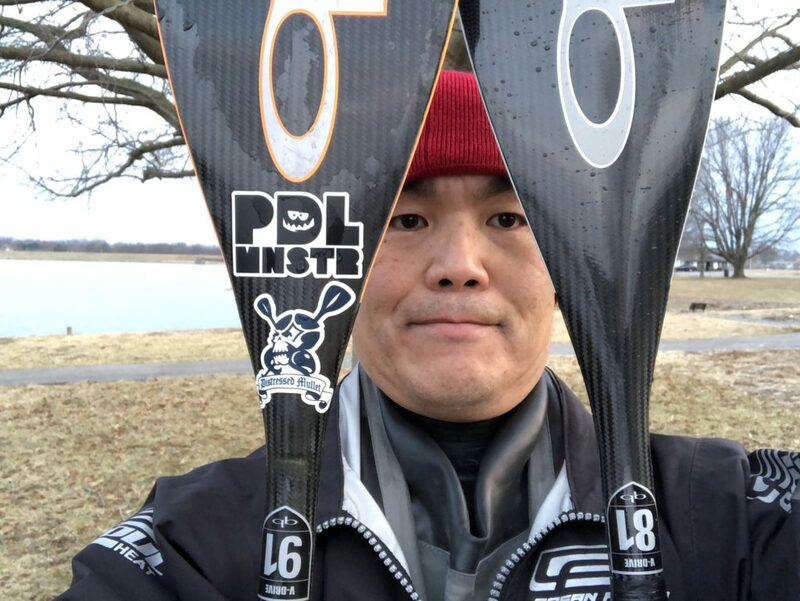 I’m pretty comfortable to say that with all the proper Paddle Monster training I’m well conditioned. 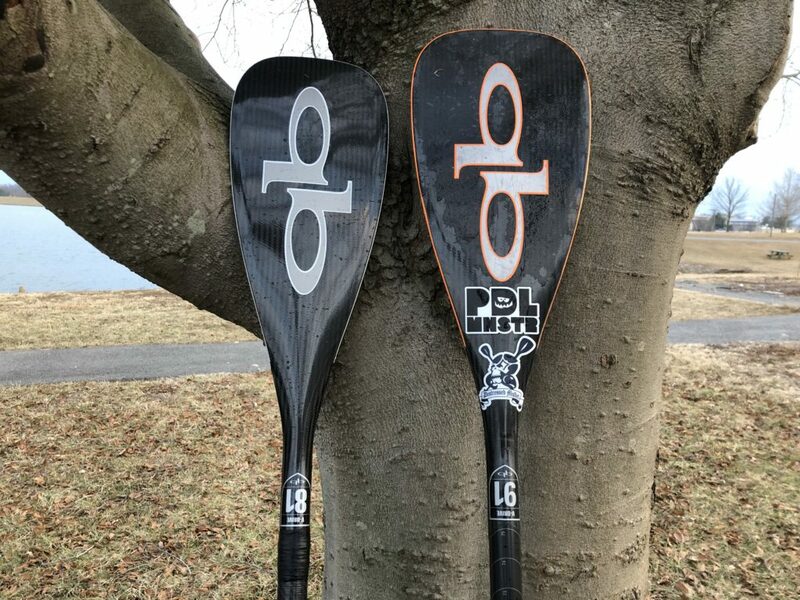 PE is well noticeable between two blades and with V81 you still have great catch at entry and smooth mid power phase without feeling overwhelmed. Between two blades you also see changing in stroke rates that slightly increases in V81. The chart does not clearly shows the stroke rate difference but it was 65.5SPM (V91) and 68.5SPM(V81). HR increases moderately in step motion with speed increasing equally to V91. Some may ask how about Trifecta 86?. I have it’s blade too and compare to V-Drive in general, Trifecta has more forgiven at entry when you first plant your blade and feels the power at mid phase only. When you are paddling it’s not the paddle that moving you but your propelling yourself when paddle enters the water. There is a fine line of how much blade will exert you when blade is full planted and your entire body is pulling with your big muscle such as your traps and hips that engages at that moment. Now that I have able to paddle two of these blades you really feel the payload on the blade against your body. Now it’s time to read the chart and if you agree with me or not. Between the 2 x 160m/0.100miles I have rest 3-4min or so. First run was V81 (bottom chart) and second round was V91(top chart). It was running out of time before lake closes so maybe I should have given little more rest for V91 test but I feel it’s a fair results. Before starting the both runs I was in 120-130bpm so I think I had fair baseline for both of the test. It’s quite interesting to see how HR zone was slowly increased with V81 while V91 HR zone increase rapidly but speed increase relatively the same. When I was glancing at my speed coach data it was 6.48mph vs 6.50mph for the max. What’s even more interesting is between two the vertical lines. With V91 HR rapidly increasing before the first line but between the two Vertical line stroke rates has dropped and also speed is effected. More I exerted myself I feel the payload on my body created by the V91 and stroke rates slowly drops. From PE stand point it was obvious how much my body was stressing to keep the speed up compare to V81. Between the two vertical line you see two results; V91, speed and stroke rates decreases while V81 speed and stroke rates runs more unison each other. Here is statistic of two sprint results. For the V81 test speed coach started before my paddling so did lost 3seconds. 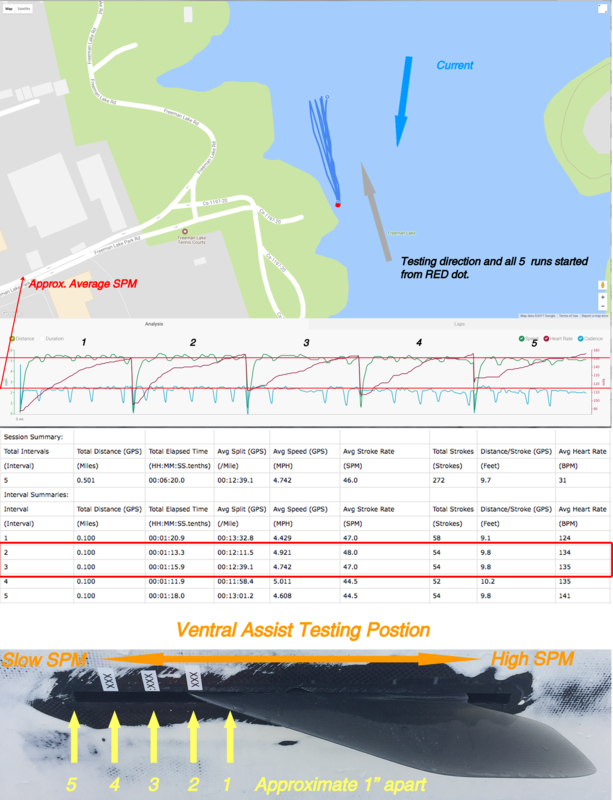 While above statistics may shows V91 had better results despite the delayed start but I still think V81 feels smooth with entire paddle stroke. Longer it takes to increase the PE will help keep the sustain speed much longer and stay stronger. It is still early to tell but downsizing the blade is a promising for 2018 season and requires more time to adjust. In Part 2, I will try to see if I can do more sustainable speed test with specific HR zone for the duration. Friend Len Franco suppose to chime his point of view between the two blades but couldn’t get in time due to his work obligation. I will update this information as soon as I get from Len!.